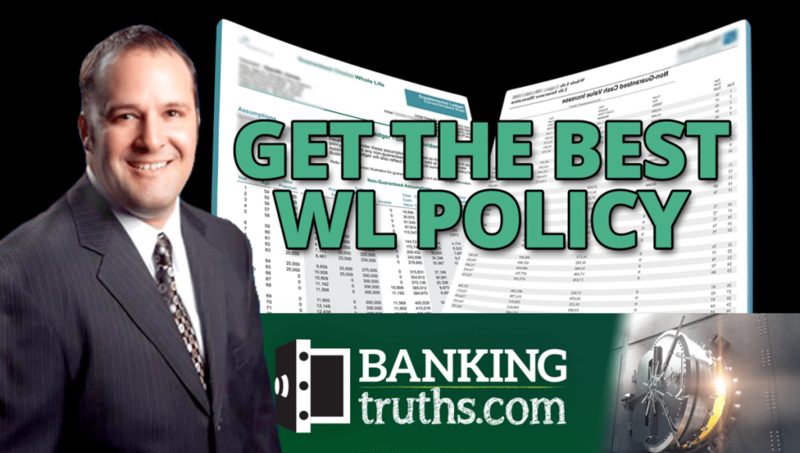 At Bankingtruths.com we help people substantially enhance their wealth building efforts by helping them build their own private family bank. Before doing so, we thought it would be a good idea for you to see the balance sheets of two of the biggest banks in America. That way you can see for yourself how these big banks invest their liquid reserves for maximum efficiency. Although the name will remain grayed out, what I can tell you is the first one is a very patriotic bank, if you know what I mean. As you look at the screenshot below from FDIC.gov, remember that the definition of a balance sheet is an itemized list of the bank’s assets as well as its liabilities. In other words, this is what the bank owns and what it owes. If you look closely at line 41 (below), you can see that this bank owns life insurance, and they refer to it as an “asset” right on their balance sheet. Looking even closer you can see that the number associated with life insurance is pretty substantial. It appears to be an asset worth over 21 million dollars. That means that we need to add a comma and three zeroes to every number in that column. So it’s actually over 21 billion dollars that the bank has invested in life insurance assets. To clarify, this is not how much death benefit these policies would pay, because that wouldn’t show up on a current balance sheet. This number represents how much cash value these policies hold, which is totally liquid and accessible to the bank. On lines 10 and 11 on this same balance sheet, you’ll find a much more popular and familiar asset class: real estate. If you combine both the lines titled “bank premises” and “fixed assets – other real estate owned,” their investment in real estate totals a little over $9 billion. So why, you ask, does life insurance make up more than double the amount that the bank owns in real estate? Below I will list the five major benefits that big banks get from parking billions of dollars into these life insurance policies they have taken out on their key executives. Life Insurance delivers a competitive yet safe growth rate on cash. The banks get a much better growth rate from these life insurance policies than they do things like CDs, bonds, or commercial paper. Many of these policies are structured to where the bank is taking on zero market risk so they don’t have to worry about annual losses, yet they still get a very competitive growth rate. Life Insurance offers tax-sheltered growth. Whatever growth rate the banks actually do get feels so much bigger each year because the cash value growth inside life insurance is not taxed. Because the U.S. government deems life insurance to provide a social good for widows, orphans, and businesses that may fail due to the death of a key executive, the IRS chooses not to tax the growth inside of life insurance policies. The government incentivizes society to protect itself with life insurance that never expires by offering this tax-shelter for cash growing inside permanent policies. Life Insurance provides guaranteed access to liquidity. In order for the banks to put that $21 billion figure on their balance sheet, the cash value has to be fully accessible to the bank. If they wanted to they could access that cash at a moment’s notice to invest in their business operations, equipment, real estate, spend it frivolously, or do whatever they want with it at any time for any reason. Most people don’t realize that their own policies can be structured to be highly liquid from the get go. Life Insurance has built-in death benefit protection. If any of the bank’s top executives were to pass away for whatever reason, the bank would get a substantial tax-free death benefit to make up for their loss. This kind of protection is so much more important for a small business or a family losing its main breadwinner than a major bank losing its top three executives in a plane crash. What’s ironic is that the bank has an abundance of protection on layers of employees and yet most families and small businesses are not even close to being adequately protected against the loss of their drivers. Perhaps if they knew how to structure life insurance to be an asset rather than an expense (like the banks do), then acquiring the proper amount of coverage would not be an issue. Life Insurance allows for high funding limits. These particular policies owned by the banks are tied to different compensation plans for their key executives. Otherwise, both the bank and the executives would be limited to how much money could go into their 401K plan, profit-sharing plan, IRA, SEP, and so on. Also, since these executives have high incomes, they aren’t even allowed to contribute to a Roth IRA. This is not the case with life insurance plans. Therefore, the banks take full advantage of these generous funding limits to provide robust retirement plans using life insurance policies designed for maximum cash value accumulation. 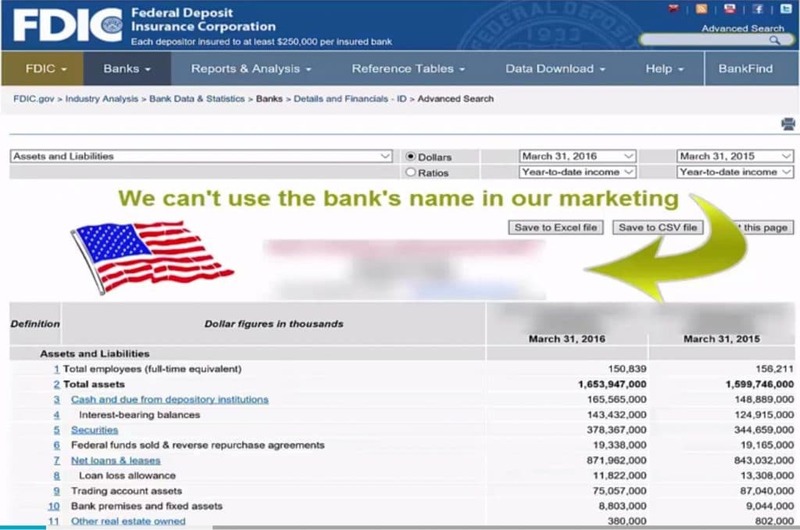 Just to prove that this is not an anomaly let’s look at the other major bank in America. Again, we have grayed out the name below, but you get the picture. If you look at the real estate holdings number, it’s just under $9 billion similar to the other bank. If you look at their line 41, this bank has just over $18 billion in life insurance. So again, this major bank has more than double the amount of life insurance than in total real estate. For the top financial institutions in America to commit billions of dollars’ worth of their liquid reserves, there must be something good going with permanent life insurance. It’s unlikely that some slick agent went in there and bamboozled them out of billions of dollars. There must be some way to design life insurance policies so that the policyholder benefits substantially from the asset even while the insured is still alive. That is exactly what we do at BankingTruths.com. As a team of independent brokers, we help our clients match their particular health situation with the insurance company that will be most generous with them and help them optimize this personal banking system. We then help them design their policy to minimize expenses and maximize cash value growth, similar to how banks themselves do.